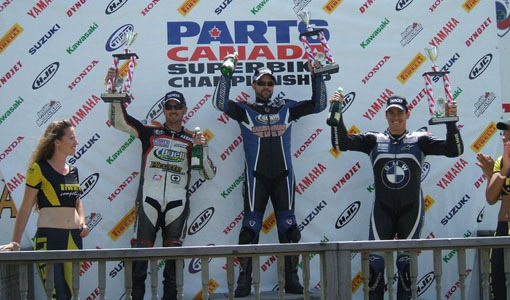 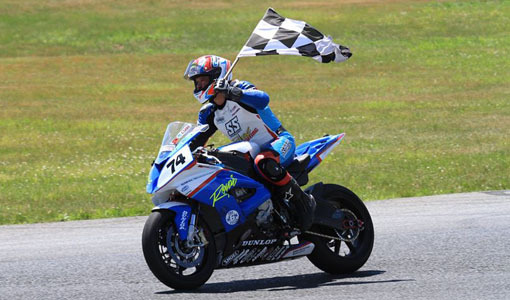 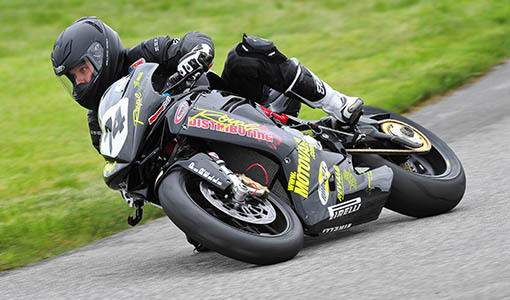 Michael Leon rode his new Royal Distributing / BMW Motorrad Canada / Pro 6 Cycle / Multi-Tact sponsored S1000RR, fitted with Dunlop tires, to a fourth place finish at Round 1 of the Mopar Canadian Superbike Championship. 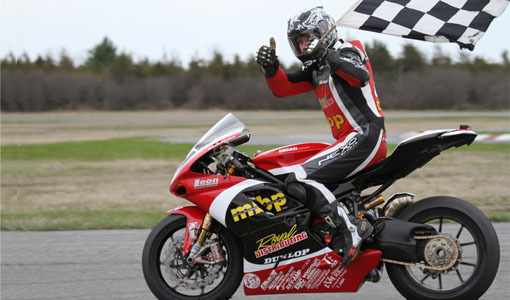 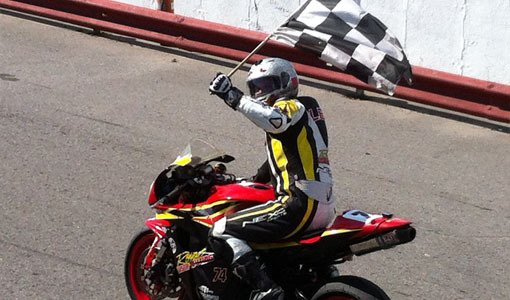 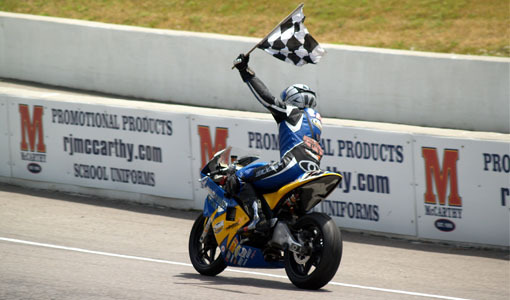 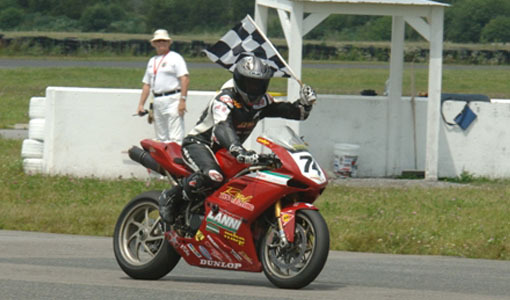 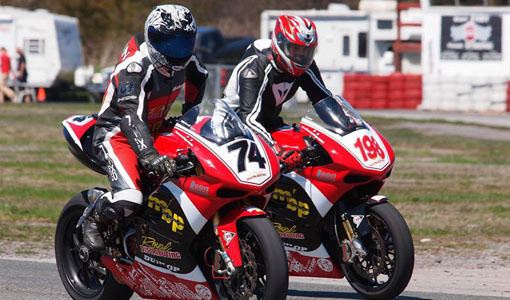 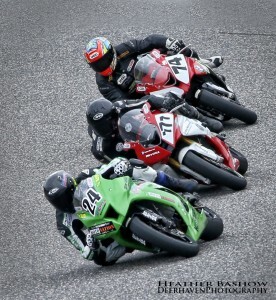 The race was held at the 5.05 km long Calabogie Motorsports Park on Sunday June 14th. 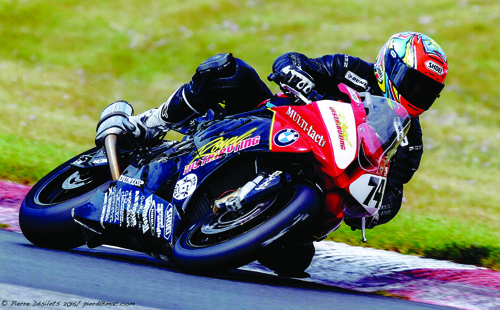 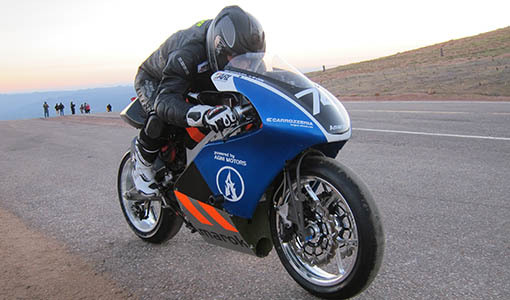 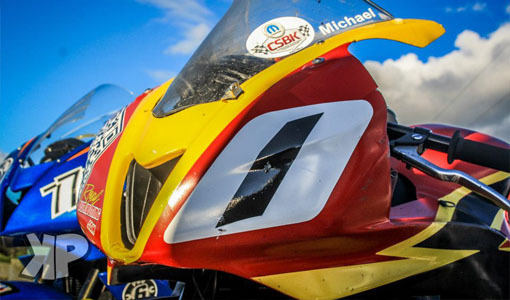 This was the first time Leon competed at the National Level on Superbike equipment in over a decade, after many seasons riding 600cc and twin cylinder motorcycles. 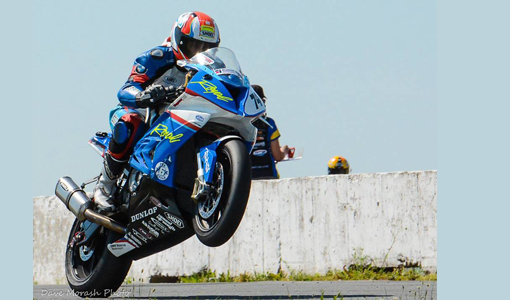 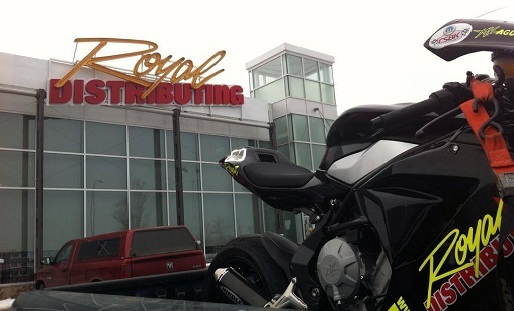 The team quickly discovered the new 2015 BMW really is a true “turnkey” Superbike as Leon was quickly up to speed. 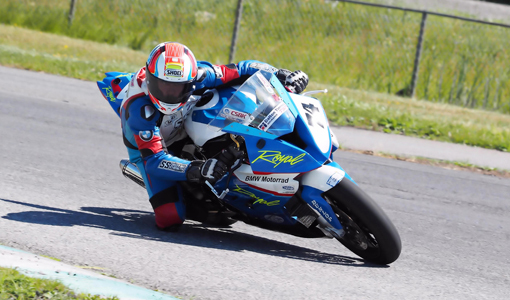 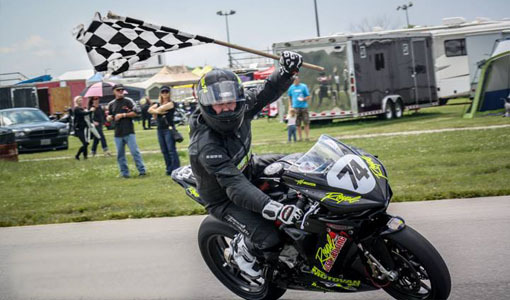 The motorcycle, with a stock motor, stock ECU, and fueled with pump gas was good enough to qualify in 4th, on the front row for Sunday’s final. 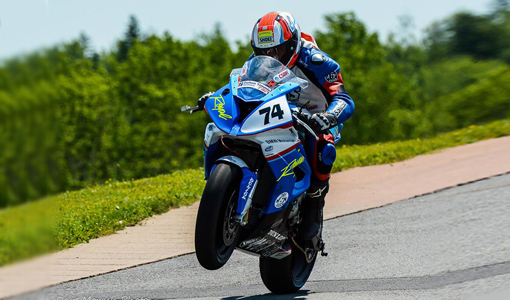 New addition to the team, Kyle Blakely of Windmill Motorsports, fit into his new position as pit crew and did an excellent job of making sure that the BMW ran flawlessly throughout the weekend. 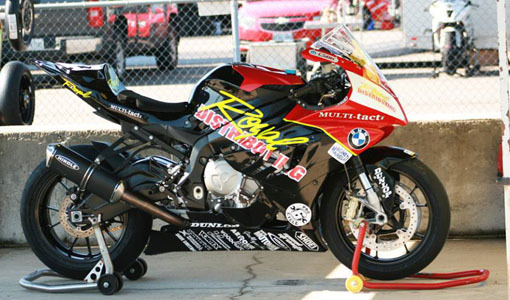 The team also benefited from suspension advice from noted tuner Jonathan Cornwell. 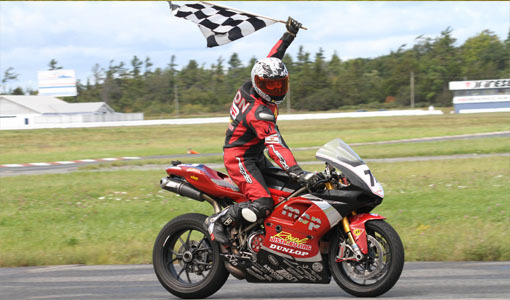 Things fell into place and the bike worked really well. 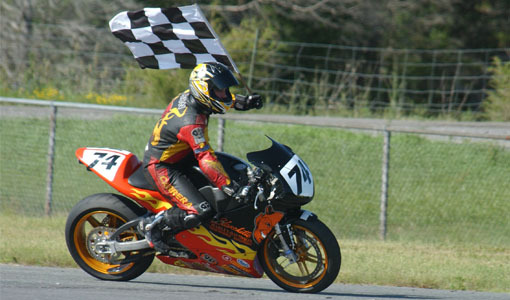 Many supporters came out for Round 1. 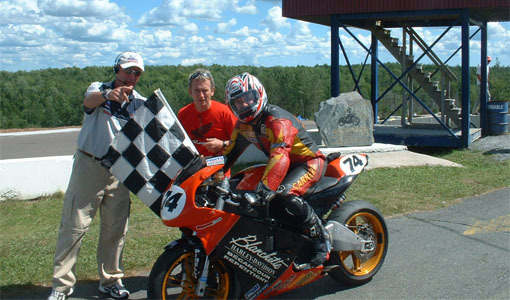 Karl, one of Michael’s great friends from Montreal, was on hand to assist Kyle with bike prep duties and pit board. 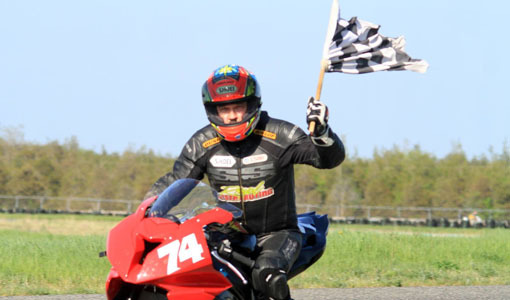 Family friends, Dave and Louise, made the trip from Toronto to cheer on the team. New team sponsor, Pierre Bertrand of Multi-Tact, his daughter Stephanie and son Justin showed up on Saturday to catch the Superbike qualifying action.